Update 12/6/16 — According to AOPA Online, "The Federal Aviation Administration has reviewed the AOPA Air Safety Institute's aeromedical online course and confirmed that it meets the third class medical reform requirements that Congress created last summer. 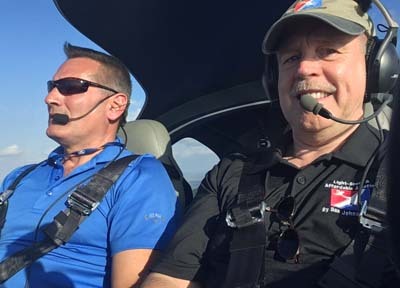 Pilots would need to complete the course, which AOPA will offer for free, every two years in addition to seeing their personal physician every four years to operate under the law. What issues are "most important" to general aviation pilots for 2017? Are "general aviation" pilots different than those of you who read ByDanJohnson.com? The second question can only be answered by each of you, independently. My guess is that while you might consider yourself a GA pilot, you might also — or distinctively — consider yourself a "recreational" or "sport" pilot. Whatever label you prefer, I found the following chart of interest. The question was posed in an earlier edition of Aviation eBrief and after some compilation they released the results. I don't know the current count of eBrief readers but it was once something like 65,000. Neither do I know, nor do they state, how many responses were used to compile these stats. My guess is that it was a large enough sample to be valid. Here's the Shock Cub (Outback Shock in America) offered by SportairUSA . 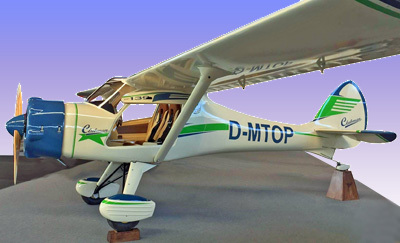 Its price is far below the well-selling CarbonCub and a fraction of any new GA model. The survey asked about "third class medical reform" even though this has already been done... well, done in the sense that the plans are now laid but not yet fully implemented. AOPA reported, "Medical reforms have been passed by the House and Senate, and signed into law." This action occurred on July 15th, 2016, even before last summer's Oshkosh. The survey was done since that time. So, still the biggest single issue is "Third class medical reform?" Hmm, seems odd to me but I found it on the Internet so it must be true. The number two issue — hot on the heels of the number one issue — was the "Cost of flying." It was not defined what cost this meant. Perhaps it was the overall cost. Or cost of operation. Or both. Likely, this was somewhat in the eye of the beholder. Conclude what you will but I found it fascinating that the medical and the cost of flying comprised two-thirds of the pilots responding. The values sum to 100% so you were permitted one answer. The sleek and highly refined BRM Aero Bristell is a handsome, superb-flying choice, a model in perhaps its fifth generation of evolution. Sure, I know some LSA are priced beyond what many pilots can afford. 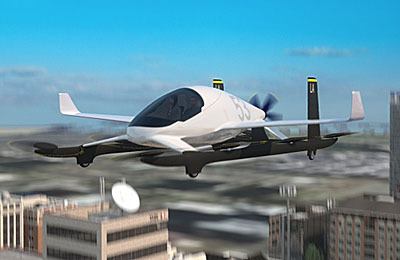 Yet lower cost options abound, with prices well below $100,000 and a few selections closer to $50,000 and even that is for fully-built, ready-to-fly aircraft. 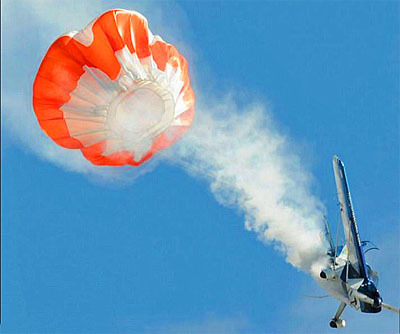 What about kits, some of which can get airborne for $30,000. 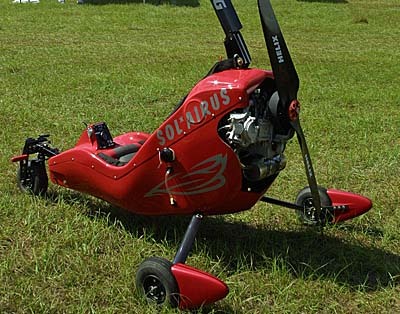 If you accept alternatives like trikes, powered parachutes, or gyros, the "cost of flying" can be held quite low. At even lower cost are ultralights, some below $20,000, less than the average price of a new car. I have to wonder what these two-thirds of respondents are saying. 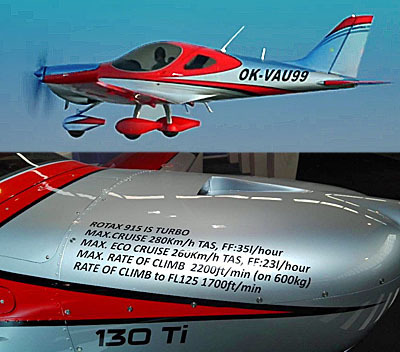 Keep your aircraft choice under 1,320 pounds and you address both top issues. Do you get it? I don't. If you don't receive Aviation eBrief and if you want it, you can sign up here. It is free. All of it may be of interest but it tends to focus on general aviation (i.e., certified aircraft) and only occasionally delves into recreational aviation or Light-Sport Aircraft. Update 12/6/16 — According to AOPA Online, “The Federal Aviation Administration has reviewed the AOPA Air Safety Institute’s aeromedical online course and confirmed that it meets the third class medical reform requirements that Congress created last summer. Pilots would need to complete the course, which AOPA will offer for free, every two years in addition to seeing their personal physician every four years to operate under the law. These steps are NOT required for anyone flying a LSA or Sport Pilot-eligible kit aircraft.—DJ What issues are “most important” to general aviation pilots for 2017? 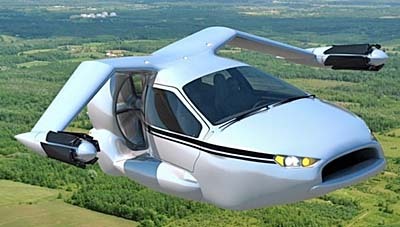 Are “general aviation” pilots different than those of you who read ByDanJohnson.com? The second question can only be answered by each of you, independently. My guess is that while you might consider yourself a GA pilot, you might also — or distinctively — consider yourself a “recreational” or “sport” pilot. Whatever label you prefer, I found the following chart of interest. Read More About: Bristell BRM Aero, s.r.o. 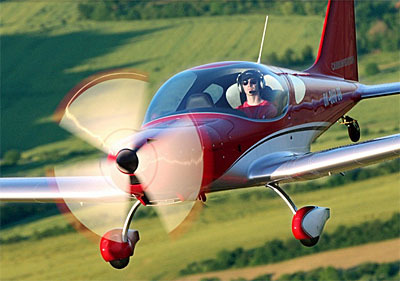 Light-Sport Aircraft are awesome. Many pilots want one but not all can afford one. Now Lou Mancuso of Bristell USA has a wonderful program for partner ownership, sometimes called fractional ownership. Honestly, it sounds so good it seems almost too good to be true ... but it's for real. Presently available in three locations with more to follow, pilots living on the east coast can join the fun. Hear Lou describe his fascinating plan in this interview. 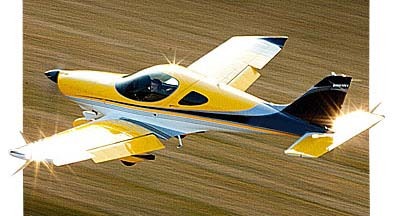 Light-Sport Aircraft are awesome. Many pilots want one but not all can afford one. Now Lou Mancuso of Bristell USA has a wonderful program for partner ownership, sometimes called fractional ownership. Honestly, it sounds so good it seems almost too good to be true … but it’s for real. Presently available in three locations with more to follow, pilots living on the east coast can join the fun. Hear Lou describe his fascinating plan in this interview. Read More About: Bristell Bristell (NG 5) SLSA BRM Aero, s.r.o. Milan Bristela is the man behind BRS Aero and his the company is recognized in America thanks to his new generation Bristell aircraft. 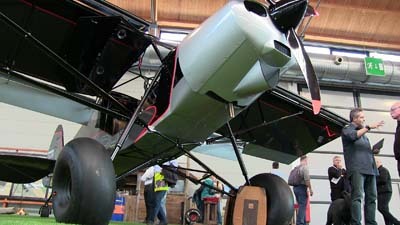 However, at Aero 2013 we saw a new version, a taildragger model. In our video we speak with the designer and ask him about his family-run company and the newest model he is bringing to the market. 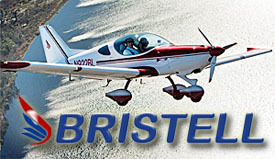 Bristell is a new Light-Sport Aircraft name and a handsome bird it is. Our video will take you through some of the many carefully considered details but it's worthwhile to know that this is a fifth-generation design. 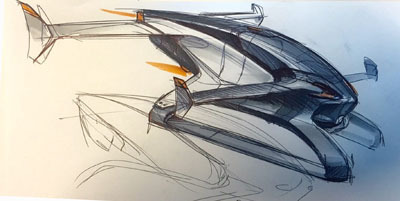 Creator Milan Bristela was deeply involved with the SportCruiser/PiperSport and after leaving that company worked on other similar designs. Come have a look and watch for a mini pilot report on this website. 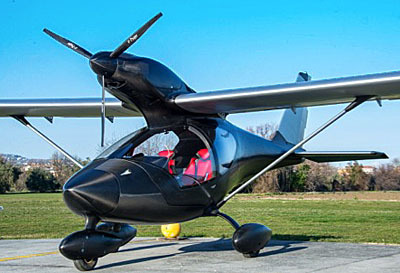 Bristell is a new Light-Sport Aircraft name and a handsome bird it is. Our video will take you through some of the many carefully considered details but it’s worthwhile to know that this is a fifth-generation design. Creator Milan Bristela was deeply involved with the SportCruiser/PiperSport and after leaving that company worked on other similar designs. Come have a look and watch for a mini pilot report on this website. BRM Aero's TDO (Taildragger Option) is flying in Europe. The Czech company offers a kit version as well; U.S. qualification has not yet been determined. BRM Aero's Bristell got off to a good start in the USA two years ago. Unfortunately, after an initial burst of positive reviews and good response from pilots, the distributor at the time stumbled. A failed association with the now-defunct Aviation Access Project undermined the efforts but that association had nothing to do with the Czech aircraft producer. So, after a year or so of discussions and evaluation, BRM Aero found a new, high-quality representative. In early December 2014, Bristell Aircraft, a New York corporation, officially accepted the appointment to represent the aircraft of BRM Aero. "Bristell Aircraft is an American company whose roots go deep into the highly-structured world of FAA-certified aircraft," said Lou Mancuso, director of Bristell Aircraft. Over the last year, Lou has worked directly with BRM Aero "to develop, customize, and standardize aircraft specifically for the North American market." Lou and his team bring 68 years of aviation sales, service and training success and appear well suited to the endeavor. "We are excited to introduce American aviators to this exceptional aircraft," said Lou. 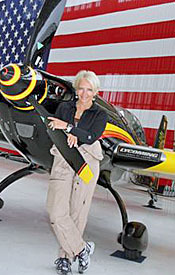 "In our flight schools we have owned and operated several brands of LSA. Without doubt the Bristell is the very best." 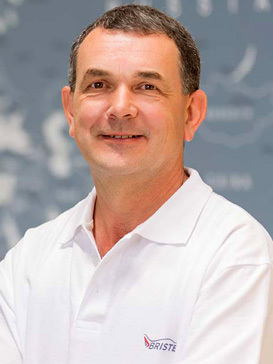 Milan Bristela, the aircraft's designer said, "We are delighted to have the breadth of expertise and depth of resources that Lou's team brings to Bristell and North America." 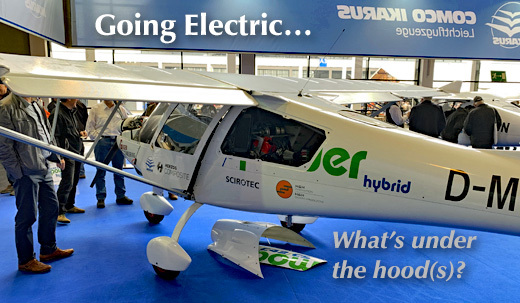 See this video interview with Milan shot at Aero 2013. 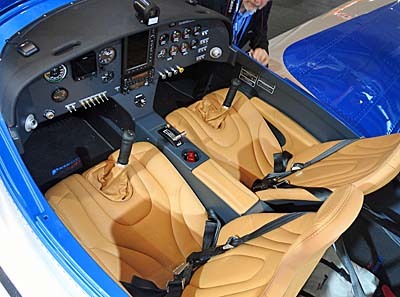 Conceived from the ground up for American customers, designer Milan Bristela's creation has the widest cockpit available in the fleet of more than 130 Light-Sport Aircraft. 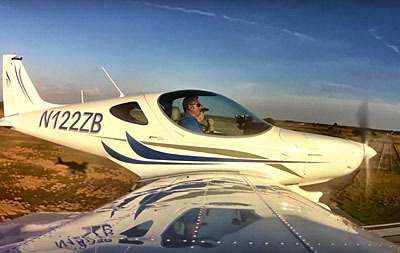 At slightly more than 51 inches wide the cabin is broader than a Cirrus SR22 that sells for more than five times as much. "Milan focused on making the aircraft extremely comfortable, easy to fly and with enviable performance and stability," noted Mancuso. With a substantial 600-pound useful load, two people can easily take off with full fuel and still have room for luggage, the importer said. Equipped with a fuel-sipping Rotax 912iS, the Bristell easily covers 600 nautical miles between fuel stops. 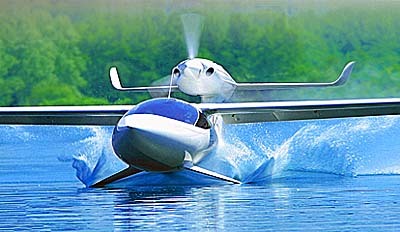 "This aircraft is the culmination of Bristela's decades of aircraft design experience," added Mancuso. "It's sleek lines and superb fit and finish are an outward manifestation of the thought and care that have gone into its creation. In Bristela's words, this aircraft is what his heart created. Hence his company slogan, 'Wings with heart'." "American aviators demand a high level of quality, reliability, and support," expressed Mancuso. "Simply importing and reselling an aircraft was not an option for us." 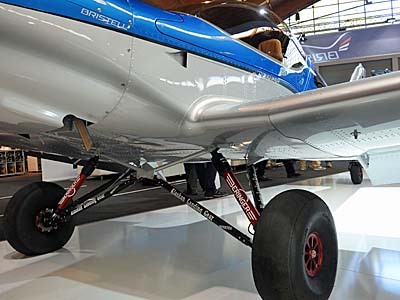 Working with BRM Aero, Bristell Aircraft selected upgraded interiors, equipped models with standardized systems and configurations like toe brakes and have standard tire sizes that are available at most FBOs. Bristell Aircraft said it maintains a comprehensive inventory of aircraft-specific parts at two east cost locations. "We can ensure that Bristell customers enjoy ease-of-maintenance and maximum long-term serviceability," said Mancuso. 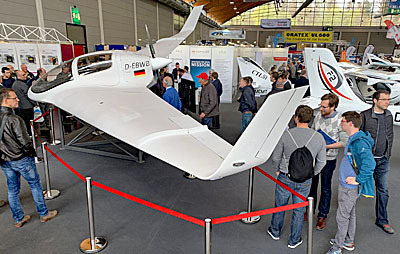 The result of the collaboration of the Czech manufacturer and the New York aviation enterprise is "a premier line of Light Sport Aircraft tailored for the American aviator with the highest level of quality, fit and finish available, and backed by the longest warranty in its class," added Mancuso. Bristell offers a two year/400 hour warranty. 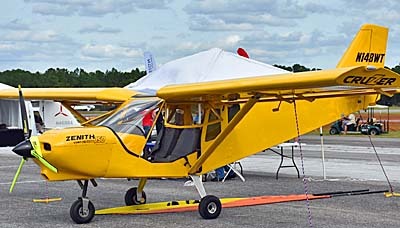 Bristell is available as a Light-Sport in either tricycle gear or taildragger configuration, A retractable model is offered in Europe. 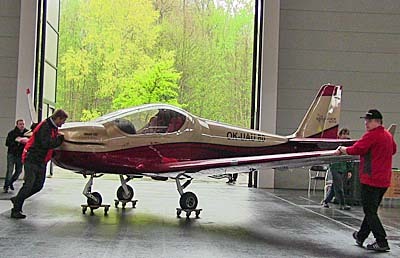 The European producer also offers a kit version and Mancuso's Bristell Aircraft may elect to represent this choice as well. 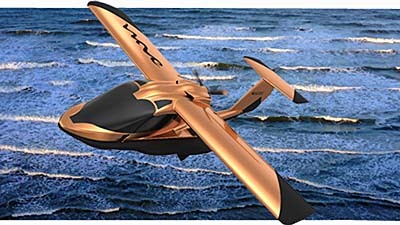 Any way it is configured, Bristell is a lovely, efficient, well-flying airplane. You can read my short review in this article or watch this video after that flight. Bristell is one of what might be called a boutique manufacturer. A small, core group associated with designer Milan Bristela performs the manufacturing of his handsome airplane available in multiple configurations. Now you order a Bristell model from a reliable and long-established U.S. enterprise. Those who examine the Bristell closely will start to appreciate how interesting a fifth generation LSA design can be. BRM Aero‘s Bristell got off to a good start in the USA two years ago. Unfortunately, after an initial burst of positive reviews and good response from pilots, the distributor at the time stumbled. A failed association with the now-defunct Aviation Access Project undermined the efforts but that association had nothing to do with the Czech aircraft producer. So, after a year or so of discussions and evaluation, BRM Aero found a new, high-quality representative. In early December 2014, Bristell Aircraft, a New York corporation, officially accepted the appointment to represent the aircraft of BRM Aero. “Bristell Aircraft is an American company whose roots go deep into the highly-structured world of FAA-certified aircraft,” said Lou Mancuso, director of Bristell Aircraft. Over the last year, Lou has worked directly with BRM Aero “to develop, customize, and standardize aircraft specifically for the North American market.” Lou and his team bring 68 years of aviation sales, service and training success and appear well suited to the endeavor. Across the northern U.S. states and across much of Europe it was a lousy, cold, snowy winter. It seemed everyone I spoke to at Aero in Friedrichshafen, Germany complained about the crappy winter and their laments mirrored those from America's northlands. However, the weather appears to be going directly from winter to summer. It was warm in Slovenia when we visited Pipistrel and it's now getting hot across much of the USA. That's great, perhaps, as it foretells an active flying season. However, as the weather warms, it can get mighty hot in the cockpit and not only because you're on short final on a gusty day in a responsive LSA. 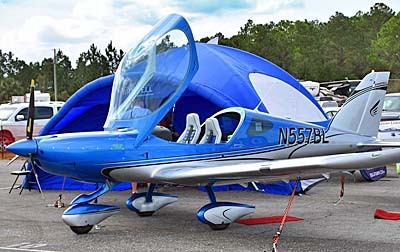 US Aviation previewed their integration of the AMT FlyCool air conditioning system in the Flight Design CTLS at Sun 'n Fun 2013. The Dallas-area, Texas company partnered with FlyCool to develop an installation for the Flight Design CTLS. US Aviation rep, Scott Severen said, "We are seeing a 20 degree drop in less than 10 minutes on a 100 degree day" The FlyCool system is a 9,500 BTU per hour, all-electric system that fits in the right side baggage area of the CTLS (photo). US Aviation will perform installations at their sprawling Denton, Texas facility. 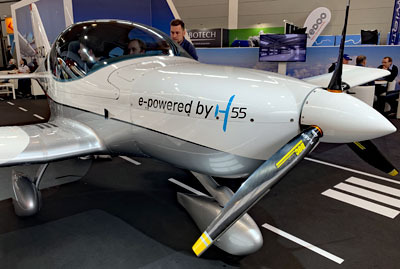 Scott also noted that they plan to offer an option to pre-cool the CTLS during pre-flight by plugging the unit in to standard 110 volt current in the hangar." The hardware swallows up half of CTLS' baggage area, but small shelves behind each seat will suffice for short trips. The cost is less than $15,000 and takes about a week, he said. 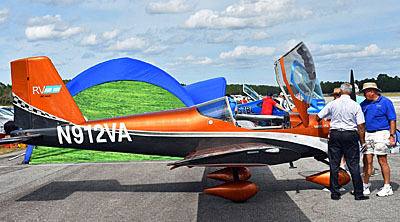 "Visitors at the show who experienced the system working were quite impressed by the volume of cool air moving through the cockpit vents between the seats," observed Severen. Flycool is an innovative, lightweight, very low-power-draw air conditioning system developed by Air Management Technology of Denver, Colorado. US Aviation is a major flight school and maintenance facility in central Texas that is super LSA-friendly. 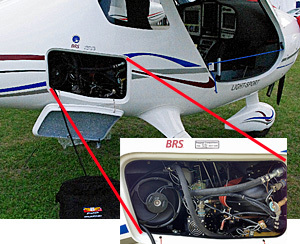 US Aviation has been a Rotax Service Center for many years employing six Rotax-trained, full-time A&P mechanics. In regular efforts by Severen over the past two years, the company has become an authorized repair representative for many of the top LSA brands. Adding to their other well-known companies, US Aviation recently announced taking this duty for Bristell USA. "Bristell audited the US Aviation facility and found the capability requirements and the proper tools and equipment necessary to perform authorized service including insurance and warranty service, along with avionics and BRS service," reported Barry Pruitt, President of Bristell USA. 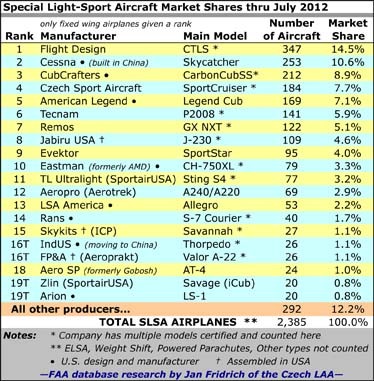 "They understand Light-Sport Aircraft. We are proud to partner with US Aviation in creating outstanding support for our customers in the central USA." 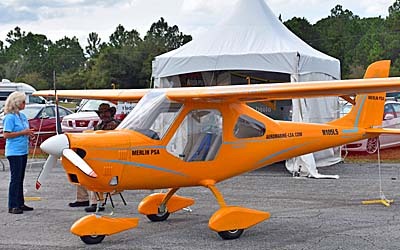 We've posted ten more LSA videos: Super Petrel LS • Bush Cat • CubCrafters on Mead Floats • Belite amphib floats • Mosquito ultralight helicopter • Fisher kits review • Golden Avio F30 • Groppo Trail & Savannah • Aerotrek durability • and, the ready-to-fly Kolb Part 103 Firefly. We have many more still to come ... all for free. Happy viewing! Across the northern U.S. states and across much of Europe it was a lousy, cold, snowy winter. It seemed everyone I spoke to at Aero in Friedrichshafen, Germany complained about the crappy winter and their laments mirrored those from America’s northlands. However, the weather appears to be going directly from winter to summer. It was warm in Slovenia when we visited Pipistrel and it’s now getting hot across much of the USA. That’s great, perhaps, as it foretells an active flying season. However, as the weather warms, it can get mighty hot in the cockpit and not only because you’re on short final on a gusty day in a responsive LSA. 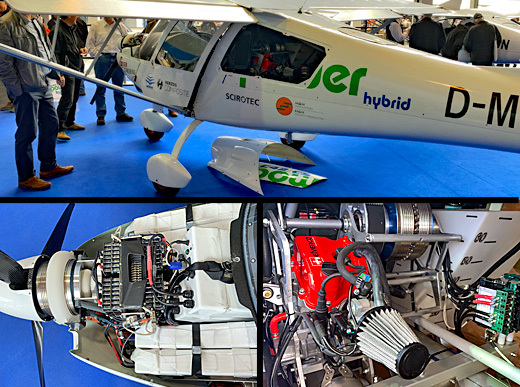 US Aviation previewed their integration of the AMT FlyCool air conditioning system in the Flight Design CTLS at Sun ‘n Fun 2013. The Dallas-area, Texas company partnered with FlyCool to develop an installation for the Flight Design CTLS. BRM Aero's new Bristell at Sebring 2012. Since Sebring in January, the airshow season has rushed by at warp speed and now we return to more aircraft flown at the event that kicks off the aviation year. We'll add more from Sun 'n Fun soon plus we're loading more than 30 new videos. 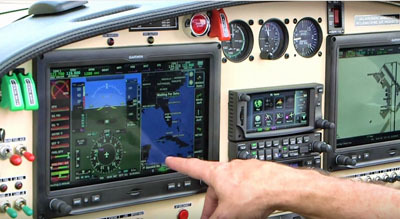 In this post, we have a quick look at the all-new Bristell, first unveiled to the American pilot community at the AOPA Summit last fall in Hartford Connecticut. *** If you feel a sense of deja vu when looking at Bristell, that's understandable. 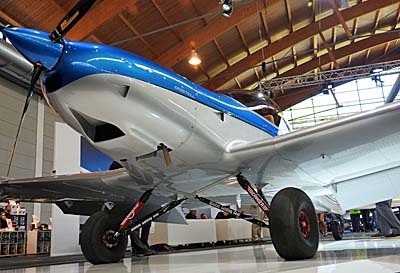 It has some common design heritage with the SportCruiser or PiperSport because the man behind the BRM Aero Bristell — Milan Bristela — was once affiliated with Czech Aircraft Works which originated the design. That's when Milan and I first met. He left the former company before it was taken over by Czech Sport Aircraft, designed another aircraft with a different partner, and finally chose a path all his own. Milan calls this a fifth generation design owing to his earlier work. Evidently those iterations paid off because at Sebring 2012, several media reporters went over the Bristell carefully and every one I spoke to was quite impressed (not always easy with reporters used to looking over everyone's latest and greatest projects). *** What really struck me were the many detail considerations, perhaps a function of long work on a design concept. Our video goes over many of these plus the very comfortable — and roomy (see photo) — cockpit. *** I offer some specifications to help tell the story. 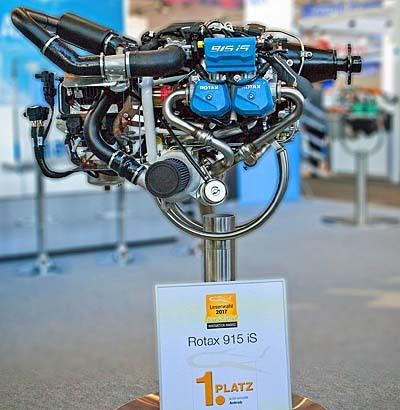 Engine is the ubiquitous 100-hp Rotax 912; Span is just under 30 feet; Empty weight 729 pounds; Payload with full fuel (32 gallons) is 400 pounds; Range 700 nm based on more than six hours endurance burning 5.5 gph in high cruise; Cabin width is a whopping 51.2 inches, almost a foot wider than a Cessna 172; Baggage capacity is significant carrying 121 pounds in two wing lockers and space aft of the seat. Of course, the latter depends on other loading but is nonetheless appealing to those who want to travel in the Bristell. The U.S. importer says Bristell will get you from Philadelphia (not far from their current location) to Chicago with a single fuel stop. Stall is a low 32 knots or 39 clean and what's called "max structural cruise" is listed at 116 knots or 133 mph. Never exceed speed is 145 knots. 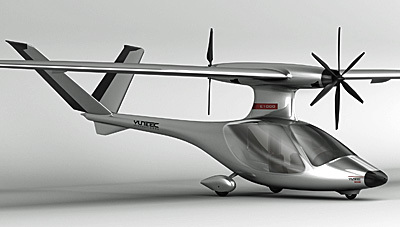 The Czech company is also working on a retractable model though that will not qualify under American LSA regulations. *** In flight, Bristell was a thing of beauty with wonderful handling and a seemingly unimpeachable stability profile. I didn't find any warts and I spoke to three other flight reviewers who were equally enthusiastic. Perhaps you ought to take a flight at an airshow near you. Because importer Bristell USA is new to the game (though well established in the LSA business), dealerships have not sprung up across the USA... yet. Even in an economic downturn that is taking its toll, Bristell seemed a breath of fresh air. Click to gain more info. Since Sebring in January, the airshow season has rushed by at warp speed and now we return to more aircraft flown at the event that kicks off the aviation year. We’ll add more from Sun ‘n Fun soon plus we’re loading more than 30 new videos. 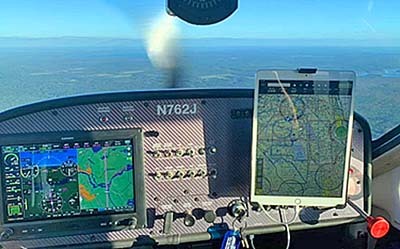 In this post, we have a quick look at the all-new Bristell, first unveiled to the American pilot community at the AOPA Summit last fall in Hartford Connecticut. *** If you feel a sense of deja vu when looking at Bristell, that’s understandable. It has some common design heritage with the SportCruiser or PiperSport because the man behind the BRM Aero Bristell — Milan Bristela — was once affiliated with Czech Aircraft Works which originated the design. That’s when Milan and I first met. 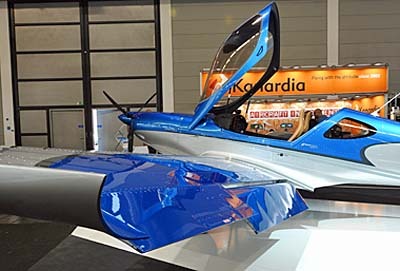 He left the former company before it was taken over by Czech Sport Aircraft, designed another aircraft with a different partner, and finally chose a path all his own.